I have finished another week of Skillstep, and I'm now nearly at the half-way mark of the course! As always, I wanted to blog about what progress the group and I have made in our vocational and computer sessions this week for you to read. 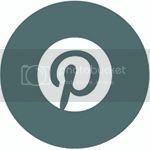 Information regarding Skillstep can be found at the bottom of the post. During Maureen's session on Tuesday, we delved further into our short-term personal goals that we briefly looked at during the end of last week's session. We identified our goals using the SMART targets - Specific, Measurable, Achievable, Realistic / Relevant and Time-Bound - and also looked at our past achievements to help build our self-confidence for accomplishing future goals. We developed an action plan with four easy steps to pin-point the activities we need to undertake in order to attain a personal goal. Towards the end of Tuesday's session, we discussed as a group some metaphors to describe the obstacles in our paths and how we can overcome them. In forthcoming sessions, we will be looking at mind-mapping for personal growth and development. On Wednesday, the group and I were visited by Fiona James - a Crime Reduction Specialist based at the Salford Crime Prevention team, within Greater Manchester Police. She has worked in the police force for 28 years, and it is her job to reduce crime happening in the first place; though it cannot be prevented completely, the amount of crime itself can be reduced in the local area. Fiona can be heard every Friday, at 11am on Salford City Radio, giving crime prevention advice and tips on The Safety Factor. After giving a brief overview of her job and the work she does, Fiona talked about the after-care that she and her team provide to recent victims of crime in Salford and also provided statistics to show that domestic burglaries are actually going down in recent years - around 4 or 5 each weekend, and some weekends there will be no cases at all. This could be due to a number of reasons - the first being that a lot of members of the community now have better home security - helped by the GMP's recent work with Salix Homes and City West. Another factor could be that criminals are now more focused on fraud in the online landscape. We were given some general safety advice and tips - such as always double-checking at night that windows and doors have been closed properly, especially during the summer months concerning the downstairs windows, when moving to a different part of the house. Safety advice was also given regarding cash points, using the internet and mobile phone safety. In the afternoon Julie Parrish, our Skillstep Co-ordinator, discussed the Access to Work scheme with us; what it is and how it works. It is a government-run programme, delivered by Jobcentre Plus and introduced in 1994, helping those with disabilities, health or mental health conditions to overcome barriers when moving into or retaining employment. It is a flexible programme that focuses on the needs of the individual and their circumstances. 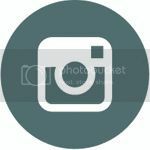 It is required when the employee requires support or adaptations, which an employer is legally obliged to provide under the Equality Act of 2010. Julie explained the eligible criteria for help, reasonable adjustments, cost sharing, how to apply and the types of support available - such as special aids and equipment, travel to and in work, a support worker, communication support, mental health support service and so on. On Thursday, during Linda and Neil's IT session, I completed some extra assignments - having completed the Level Entry and Level Entry 1 tasks over the past month - which are used as examination pieces, weaving together all of the skills I have learned on the course so far using assistive technology in Microsoft Word. I found it easiest to work from Braille worksheets and to then follow the instructions to complete the scenarios. Even though no extra accreditation is given for completing the extra assignments, I was rather enjoying them by the end of the session and found it quite therapeutic! I had tried the audio cassette earlier in the session but had a few issues with only having the audio in one ear, as I have hearing problems, so switched to the Braille format instead. I'll be continuing the assignments next week and will then move onto Braille spreadsheets - if possible! 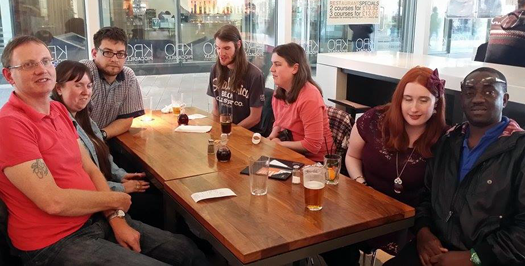 At the weekend, the Skillstep group and I met up in the Manchester city centre for a meal and some drinks afterwards. 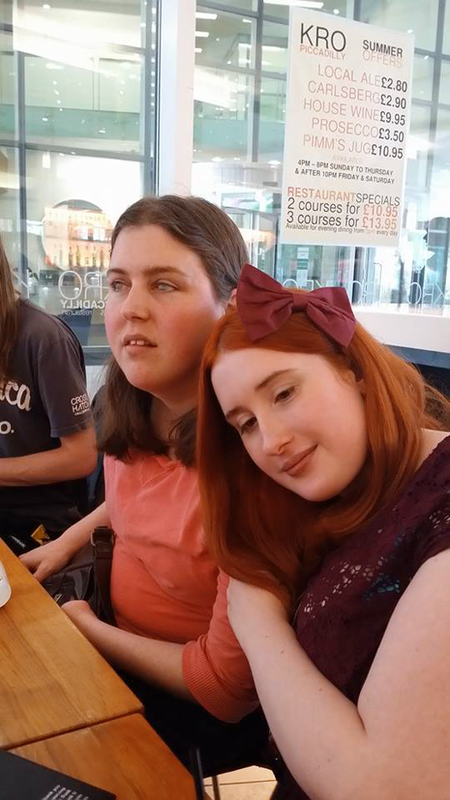 I had a really lovely time being with the group in a social setting and would love to meet up again sometime soon! You can find out more about Skillstep by clicking here and can register your interest to the course via e-mail. Happy 177th Birthday to Henshaws! 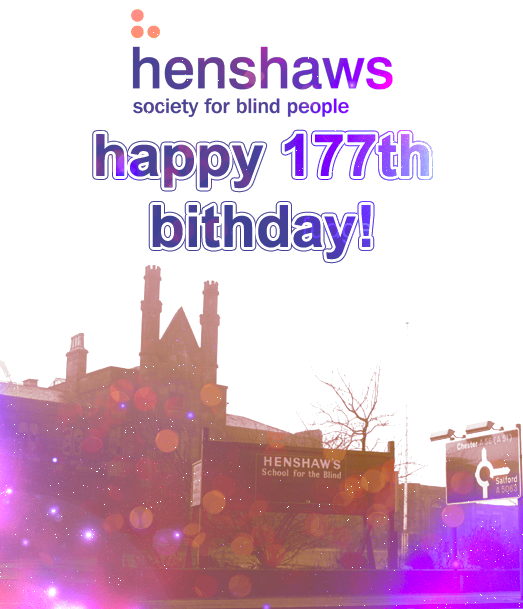 This is a very special blog post; today marks the 177th birthday of Henshaws Society for Blind People! As most of you know, I have been a service user for a year now - starting with the Living with Sight Loss enablement course last summer and visiting the Manchester Resource Centre not long afterwards, to become a permanent member of some of the Friendship Matters groups - including Braille, Arts & Crafts and Mindful Relaxation. 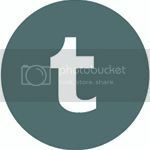 I am currently undertaking the 12-week Skillstep course, am a resident blogger for the Henshaws blog and have had the wonderful opportunity of speaking at events to represent the charity. I have kindly been offered a work placement with the Marketing team, which I will be starting in September, and I am extremely excited about! Henshaws have made an astounding contribution to who I am today - improving my confidence beyond any expectation I would ever have had, equipping me with independence skills such as Braille, kitchen skills and touch typing skills, and providing me with an active social life for the first time since leaving high school. I have met some absolutely wonderful people over the past year because of Henshaws - staff, volunteers and service users alike - and I want to take this opportunity to say a huge thank you and a very Happy Birthday to Henshaws Society for Blind People! Resource Centre in Manchester, has now been fulfilled! The week began with roleplaying activities on Tuesday during Maureen's session. Each member undertaking the course had the opportunity to act within 3 different roles and become an interviewer, interviewee and observer giving feedback for improvement for others in their group, as well as discussing what worked during their practice interviews. We had to prepare prior to the session, thinking about our answers to typical interview questions as well as providing 2 of our own to use while performing the interviewer tole. We were recorded on a video camera for evidence regarding our portfolio for accreditation. In the afternoon, we briefly touched upon goal-setting and the SMART targets, which is something we will continue to develop further in our fifth session next Tuesday. On Wednesday, Alan Bennett from the National Careers Service visited us to discuss careers advice and how to maximise our chances of securing a job in today's career climate. He began his session by first of all explaining job centres, their function and what they can provide for disabled people - as well as going into detail of different job-searching websites such as Universal Jobmatch, Indeed and Fish4Jobs. Alan then talked about the importance of an up-to-date CV and the different types that can be used - Functional, Chronological and Combined - and the benefits of each one. This led into a Powerpoint presentation of some badly written CVs and how they could have been improved - for us to then take these suggestions and tips away with us and apply to our own CVs, to ensure they are as concise, accurate, relevant, targeted and easy to read as possible - to sell our skills and experience. Alan shared some handy tips - such as marrying our skills to the job description, perhaps even having different versions of the CV for each job that you are applying to, having a punchy first paragraph to grab the employer's attention, to ensure that the first two paragraphs are as striking as possible (as these are the most read parts of the CV itself), making sure to print the document out onto white paper with a clean, sharp font (no Job Centre yellow paper!) and not exceeding 2 or 3 pages; the longer the CV is, the less chance it has of being read in its entirety. 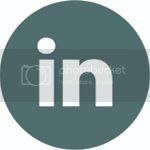 It's paramount to use the same font throughout, be consistent with the layout, use specific wording, proof read and spell check for mistakes, divert from use of photos or graphics (these can be provided in a separate portfolio if you are a photographer, graphic designer, illustrator, etc.) and review and update the CV regularly. This led into the 'Don'ts' of CV writing: don't include your salary in each job section, don't be dishonest (employers very well may check what you present as factual), don't give the impression of flitting between jobs regularly and not being committed in the long-term, don't include irrelevant information (for example, your nursery and primary school - as seen in one of the badly written CV examples!) and don't overuse the same phrases, such as "I am". Alan talked us through Cover Letters and Spec Letters, what they are used for and how they could be useful to us to attach to the front of our CV when applying for a job. Towards the end of Alan's session, we explored transferable skills and interview skills. We began by examining interview skills first, which echoed most of Maureen's session from the previous week. Good preparation is key - whether it's planning the journey to the interview, preparing your outfit, researching the company or developing your answers beforehand. You may be faced with competency-based questions, in which there is only so much preparation you can do, but try to research as many varieties of questions as possible to display confidence and competence during the interview process. Transferrable skills are those that can be used no matter the job title - such as communication skills, organisation skills and time-keeping. Another job may require a more specific skill set, but these general transferrable skills can be applied to any job and it is important that we develop them if we do not have them already. We each had a 30 minute individual session with Alan where we went through our own CVs and career options. He typed up the information to be transferred into an action plan that will be presented to each of us in the near future. 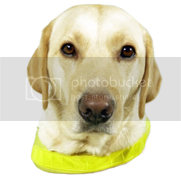 My CV is up-to-date and absolutely fine with no need for improvement, and I discussed with Alan my desire to go back into further education in the near future, after I have trained for my Guide Dog, to build up my portfolio and qualifications. On the final day of the week, the IT session with Linda and Neil, I finally completed all of my Level 1 Entry tasks for my portfolio! There were 29 tasks altogether, which included Entry Level and Entry Level 1 tasks as proof of basic knowledge of using a Windows Computer and Microsoft Word whilst using assistive technology such as JAWS or ZoomText. In next week's session, I will sign the remaining pieces of work that I've completed during the past 2 weeks, that haven't been signed by myself yet, as proof that I acknowledge and agree with the marking process by Linda, and have those completed for both my own portfolio and for Linda and Neil's copy of the portfolio too. 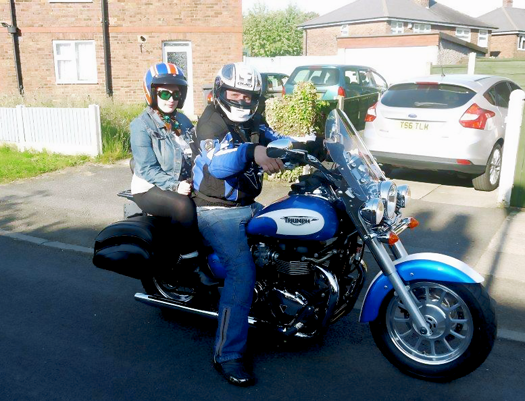 I was recently invited to be a part of the Henshaws Sausage Run 2014 by Glen Lockett, Head of Fundraising, at the Henshaws Resource Centre in Manchester. The Sausage Run is an annual event where riders travel from the Henshaws centre in Old Trafford up to the Arts & Crafts centre in Knaresborough, roughly an hour and half away, to claim their sausage sandwich for participating! 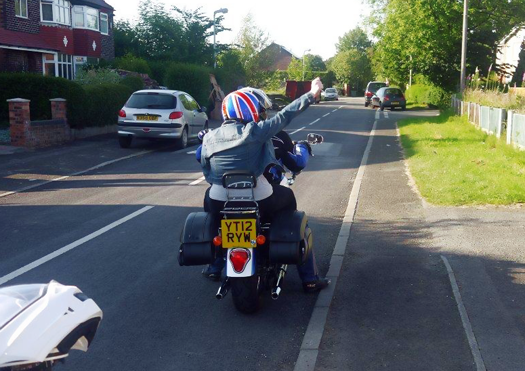 I jumped at the opportunity to be on the back of a motorbike. With being severely sight-impaired it's not something I've ever had the opportunity to do - so I wanted to try it out, and I can confirm that I absolutely loved every minute of it! 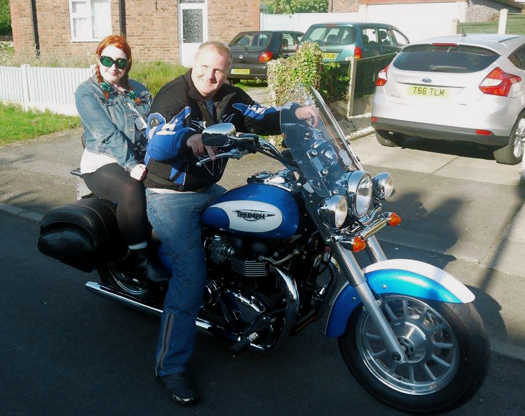 I first talked to Chris, my volunteer motorbike partner, last Friday via phone to arrange a day that we could meet up at my home and have a practice run around my local area. We both decided on Wednesday evening and Glen came along as well! After introducing myself properly to Chris we then began the basics of how to get on and off the bike, where to rest my feet, where I hold onto the straps, and so on. We all thought it was going to take a little while for me to be able to get onto the bike - but surprisingly I got on it quickly and with ease - much to my own surprise too! 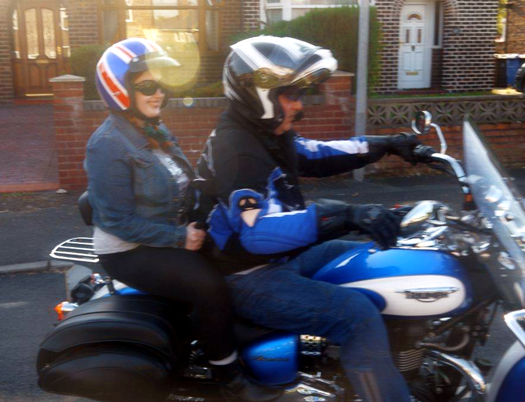 After getting used to the sound and feel of the engine, we were quickly off down my street and heading towards the roundabout into Irlam so that I could get used to the swerving motion when it comes to curved roads during the Sausage Run. I got used to the motion of tilting around curved roads and roundabouts and started to enjoy it fairly quickly! 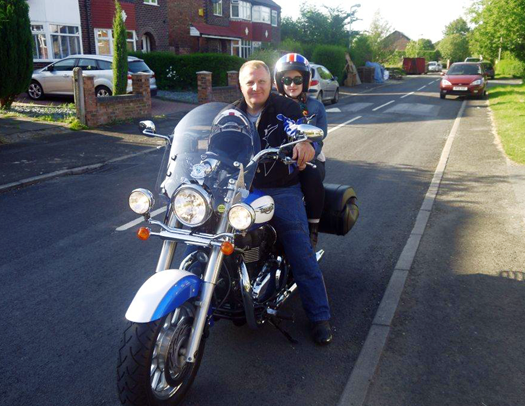 Chris had some spare time, and I'd loved what I'd experienced so far, so we both agreed to have a proper half-hour ride to Warrington, Culcheth and Glazebury before heading back home to Irlam. The weather was beautifully warm and the varying scents were wonderful as we drove past open fields of fragrant plants and flowers. I didn't want the ride to end as I was enjoying it so much! My practice run was wonderful and I want to say a huge thank you to Glen for taking photos and for providing me with such an awesome opportunity, and to Chris for volunteering to ride with a visually impaired first-timer and for being so supportive. For more information about the Sausage Run 2014, you can visit the Henshaws website and the Evenbrite page! Over the weekend I attended the RNIB Campaigners' Convention 2014, hosted at Aston Business School, in Birmingham. The event attracted over a hundred visually impaired and blind campaigners, of various ages, from all over England and Scotland. gain new skills from the various workshops on offer over the duration of the 2 day weekend. After arriving into Birmingham by train at 11:35am, I took a taxi with another campaigner from the North West and headed up to Aston Business School. I was guided into the building to register my attendance and confirm the workshops and surgeries that I would like to attend. I was very interested in the social media surgery and the 'Travellers Tales' campaigner experience session on the first day, as well as the 'Getting the Most from Your Local Media' and 'Winning or Losing: the Art and Science of the Killer Campaign Strategy' workshops on the second day. The campaigners and I had a buffet lunch to start with, while we introduced ourselves to those sitting around our tables and began to network with one another; finding out about our previous campaign work and what we hoped to achieve in the future. I was approached by quite a few people who were interested in learning more about Envision: a young person's campaigning network, that I'm a steering group member of - specialising in communications and social media, working alongside the RNIB. I gladly introduced them to the network and provided a brief overview of the first campaign that we are in the process of setting up. After lunch, we were welcomed to the event by Steve Winyard, Head of Membership and Campaigns at the RNIB, who thanked us all personally for coming along to the convention and discussed some of the things he hoped we'd get out of it; networking with other campaigners from across the country to build strong campaigning relationships, and a new knowledge of different aspects of campaigning techniques through the various workshops on offer. He also reported on campaigner's achievements over the past 5 years. Michael Wilson, Campaigns Manager at the RNIB, gave an introduction of the Open Space concept - what it is, how we will be arranging and attending the discussions and the proposal of topics for exploration. An Open Space can be a very powerful tool for engaging large groups of people in discussions to explore particular issues or questions. Each table in the main conference hall would correspond to a particular issue or question, with RNIB staff based at each table to take notes of discussion and suggestions to then feed back later. Campaigners were free to move from one table to the next if they wished to partake in a different topic. Campaigner Experience Sessions were next. These were issue-based workshops and networking sessions, led by Volunteer Campaign Co-odinators and supported by a Regional Campaigns Officers, to give the opportunity to hear directly from other campaigners about what worked well, what lessons were learnt and also to gain some tips for effective campaigning for future use. I chose to attend the 'Travellers Tales - Making Transport Accessible' session. Other workshops on the Saturday included 'Fighting for Safer Streets' with stories from Rose and Mohammed, 'Tackling Street Clutter' with experiences shared by Charlotte and Judith, 'Health - Campaigning for Improved Access to Hospitals' lead by Mike and Padma, and 'Support at the Time of Sight Loss' with stories shared by Terri, Elaine and Peter. From the delegate pack: "In this session, you will find out what motivated Bernie and Peter to start their own successful campaigning journeys for accessible travel. The lessons they learned along the way prove that campaigning is as much an art as a science, but there are tips and techniques that we can all use to improve our chances of success." After being welcomed to this Campaigner Experience Session lead by Bernie and Peter, Peter took the floor and began discussion of his successful past campaign regarding accessible transport in his local area. He initially campaigned for announcements on board the train, as they were not making any announcements on stations, to let him know what current stops he was at or making his way towards. He contacted the metro company asking why they had switched off announcements after 6pm and discovered that the reason was due to noise nuisance - the local people living near to the station had complained many times in the past. In effect, this meant that VI people could not travel after 6pm. In the particular incident that he had experienced, Peter boarded a train but had no prior announcement that it was out of service. He and another man had boarded and were off on their journey, but suddenly they had stopped - the driver had locked the train, the lights were switched off and they were in an overnight depot in complete darkness. As Peter had his mobile phone with him, the first thing he did was contact his local media and phone BBC Look North. This was the start of what brought about change; he was quick-thinking with wanting to contact the local media directly and overnight the media were setting up times to meet, arrange interviews and take photographs of Peter and the station. By 8am the next morning, there was a full-page spread story on the incident. The media were essentially working for Peter at that point - ringing the hotlines to contact the managers and question them - helping him tremendously with his campaign work. It was discovered that the management of the company had gone home at 6pm, completely oblivious to what had happened. Despite the media coverage of this incident, Peter found that they still kept switching off the system at 6pm - and he continuously went back to the media to report on this. With support from the RNIB and the Disabilities Commission, he took action and received compensation at court and the driver was disciplined. What started was the acceptance on behalf of the train company for VI people so that they could travel safely on a train network - particularly after 6pm. We now have comprehensive automated announcements on trains and platforms throughout the country, but the campaign continues in terms of monitoring and feeding back on progress and other related incidents. Top tips from Peter - Never be afraid to contact the local media when you have a good story and an engaging campaigning issue, don't be afraid to speak out, and try to have the numbers of the local media outlets stored in your phone so that you call them directly for ease of access. Bernie, a Volunteer Campaigner Co-ordinator, shared her many experiences with transport next and told of how campaigning for her issues greatly benefitted her day-to-day life. The first incident she shared was of how a taxi driver of a private car hire company refused her and her Guide Dog because of religious objections. 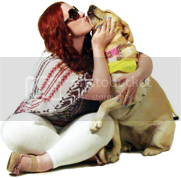 She wanted to take her son, who is also blind, to an appointment at Great Ormond Street Hospital in London, but the driver was adamant not to collect them because of her Guide Dog at the time, Orla, and left both mother and son stranded. He was the first mini-cab driver to be convicted under the Disability Discrimination Act 1995. She recalled of another recent campaigning success during the Stop for Me, Speak to Me campaign - encouraging councillors from her local area to travel on a bus blindfolded to experience first-hand the issues that blind and visually impaired people face when using public transport. Bernie received a national award for her contribution of getting free bus-travel for people with sight loss in her area. Top tips from Bernie: You need to gather evidence to support your campaign; find information to support and give the campaign weight and give it solidity and objectives. Involving local decision-makers, such as councillors, helps to gain publicity and also builds strong relationships and trust within your local community. Having a fun time so far with @RNIB_campaigns at their Campaigner's Convention 2014! Lovely to meet so many new people! Next on the agenda was an hour-long session with Steve Winyard (Head of Membership and Campaigns), Leslie-Ann Alexander (CEO of the RNIB), Fazilet Hadi (Group Director, Inclusive Society Group) and Ellie Southwood (RNIB's Board of Trustees, Vice Chair) regarding the next 5 years of challenges and opportunities in the campaigning landscape. Steve Winyard gave an overview of the campaigns over the next strategy period, of 2014 to 2019, the biggest being the I Am Here campaign - ensuring that people are properly supported at the time of sight loss. A Q&A session followed with Leslie-Ann Alexander, Fazilet Hadi and Ellie Southwood. Questions given by the room focused on the recent merger of campaigns and membership within the RNIB and its benefits, whether Guide Dogs and the RNIB will work together in the future, cost-effectiveness, and whether issues can be tackled quicker than the proposed 5 years. It was then time for the Open Space session, consisting of constructive open discussion chosen by delegates regarding topics they were passionate about. These included; accessible transport and built environments, perceptions of blind and visually impaired people, employment, and the discussion of hate crime. I attended the built environments discussion to start with which was lead by Hugh Huddy, Policy Manager at the RNIB. Discussion was based around crossings, beacons, lifts and stairs, walkways with tactile markings - or lack thereof! - and the accessibility of stations belonging to trams, tubes, trains and buses. To start with there were a shared experiences from a campaigners. The first knew of a very dangerous crossing with no accessibility features in the area. Another campaigner shared the difficulties they face in a shared space area with uneven pavements and cobbled stones. A third campaigner spoke of an accident they had along a pavement in their local area and how they contacted their local council, to no avail. Hugh took notes and invited those campaigners to draw up ways they would like to see those local crossings and pavements rectified. I moved onto a different table focused on the issue of perceptions of blind and visually impaired people next. Discussion included what we can do as VI people to help change the public's perceptions, representations in the media - particularly soap operas, who currently portray a VI person and a wheelchair user - and how they have benefitted or hindered misconceptions and stereotypes. There was also talk of utilising the December 3rd Disability Awareness week to do more for the sight-impaired, arranging days similar to the Guide Dogs Fun Days to raise awareness, setting up a sensory-impaired week - rather than having a disability week, presenting positivity and optimism to the public rather than the negativity surrounding our disability. After the hour of Open Space discussions had concluded, we then had some free time to go up to our rooms and freshen up for dinner. I unpacked items from my case to organise my room for ease of access, went over the notes on my iPad from the sessions so far, caught up with friends and family on social media and proceeded to get ready for dinner. Before the evening meal, there was a joint-speech by members of Envision - Adele from Dalington and Fran from Wigan - explaining the formation of the campaigning network and the first campaign that we are setting up presently, regarding accessible menus in the 4 main coffee chains in the UK. After my three-course vegetarian meal, I went straight to bed as I was so tired after a busy day of travelling and note-taking! The first day was fantastic and I was looking forward to an even more productive day in the morning! After heading down to breakfast and checking out of our rooms, it was time for the first plenary of the day - the Accessible Streets campaign. This provided us with the opportunity to discover more about the campaign and to help develop the RNIB's street charter. The expert panel consisted of Hugh Huddy (Policy Manager), Samantha Fothergill (Senior Legal Officer) and Tracy Dearing (RCO of Yorkshire & Humber), chaired by Michael Wilson (Regional Campaigns Manager). Hugh Huddy began discussion on the various issues that are faced with street clutter; built environments, beacons that are not installed properly, wheelie bins, lack of tactile markings, lack of pavements, and so on. Centralisation is out of fashion within the government and localisation is in, so this needs to be incorporated into the new business strategy. There needs to be a street charter setting a standard across the country which is clear and universal. Samantha Fothergill explained how the law can be used to assist in campaigning this issue using two main pieces of legislation - the Equality Act and the Highways Act. Local authorities have a duty to keep the highway free from obstruction, which is a very significant principal as it is a criminal offence to obstruct the highway. Regarding the Equality Act, there are two aspects to it; the first is the duty to the public, the second is the accessibility of the highway. It is their duty to have regard to the impact on equality. Absolutely everything they do, from planning decisions to prosecution decisions, must have consideration of the impact on equality. In regards to pavement parking and wheelie bins, it is an offence to obstruct the pavement and discriminative to block a disabled person who is not capable of moving the obstruction - whether a wheelie bin or a pile of bin bags. Tracy Dearing, RCO of Yorkshire & Humber, has been involved with a lot of campaigning work over the past few years regarding street clutter and built environments. She took the floor to explain how this year is very important for gathering evidence for the campaign. We are coming up to finding out what local authorities have in place, what their policies and their positions are on built environments, what their view of shared space is and how other people are interpreting these ideas. The RNIB are asking VI people to undertake a survey of how we negotiate our streets to pull together a good campaign. Surveys can be filled in by contacting your local Regional Campaigns Officer for the information. A good campaign relies heavily on evidence, as we have learned in our workshops and discussions in the convention so far. From a campaigner's point-of-view, we need clarity around the issue as there are two major organisations involved with the issue - we need to hit all of the targets. The reality is that A-boards are growing in number all over the country, and we need to stop it in its tracks before it gets much worse. We had a Q&A session with Hugh, Samantha and Tracy around the issue of street clutter and built environments, followed by table-top discussions of what process and policies need to be in the universal street charter. Items included a full stop to A-boards, tactile markings at all kerbs, audible crossings and cones - along with regular maintenance to ensure they are properly installed and in full working order, and a policy on wheelie bins to keep them from obstructing the pavement. Towards the end of the session, I received a Tweet from Gary O'Donaghue, BBC4's Chief Political Correspondent, who I met at Parliament last year with Envision. I was kindly given the microphone to read out his tweet and he received such a warm response from fellow campaigners! Michael, chairing the session, also joked that he could be the celebrity face of the campaign! After a quick break, it was time to start the first of two Campaigns Skills Sessions. This was the opportunity to attend workshops based around: developing a killer campaign strategy, lobbying your MP, working with your local council, getting the most from local media, influencing and networking, and the secrets of storytelling. The first campaign workshop that I would be attending was the 'Getting the Most from your Local Media' workshop lead by Lucy Dixon (RCO for the North East), who originally trained as a journalist and was previously the editorial manager of the Red Cross. From the delegate pack: "Getting publicity can transform your campaign, encouraging more people to support you and helping you influence key decision-makers. Find out top tips for getting journalists interested in your campaign, how to handle interviews and help to overcome any concerns you may have about working with the media." After an introduction to the workshop by Lucy and a brief overview of the benefits that media can bring to a campaign - including increased interest from the public, increased support from organisations, the attention of key decision-makers and local councils - we looked at the ways of how a campaign should look to attract an audience. To start with, it should have a strong human interest; a strong, personal story that can carry viewers, readers, and listeners. It matters how the issue effects you, other people will sympathise and feel like they want to reach out and establish a connection. To give it that extra weight, it needs to provide statistics and evidence. For example, how many other blind and visually impaired people are in your area that are affected by the issue you are campaigning? How many accidents have there been? The RNIB has a sight loss data tool that you can easily access on their website which is also very useful to use regarding statistics and evidence, as well as contacting your Regional Campaigns Officer for support. Seek help from experts and professionals to back-up your campaign and add that extra weight; these could include a rehab officer, road safety officer, local police, and so on. Strong and powerful quotes from recognisable professionals can really enhance a story. Look at the format and channel that you want to use, and be mindful of ways to adapt to the different media form. Use a good visual story for your medium - for example, the 'Stop for Me, Speak to Me' campaign used television through filming bus-drivers blindfolded to experience what it's like to use public transport as a visually impaired or blind person. It created that strong visual story to engage an audience. If it's the newspaper that is the format you are using, provide a powerful image to be used next to the column that readers can look at and connect to. Use good visual props, no more than 3 or 4 people, showing the area of concern - a busy road, a bus, a coffee shop, and so on. 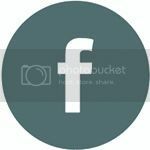 Slowly build a relationship with local journalists in your area. Handy tips and tricks include prepararing for interviews with 3 key objectives; constantly refer to them and bring the conversation back to your key aims for consistence and a guideline. 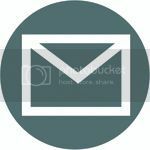 Write a press release, compose bullet points, phone before-hand for an outline, follow-up with communication though e-mails and phone calls. Write a letter to an editor of a magazine or newspaper to get your campaign story out there, use the well-read section of the newspaper, use radio phone-ins to target and reach an audience. Finally, prepare for difficult questions. Ask a friend, colleague or Regional Campaigns Officer to plan difficult questions that may crop up that you can consider and plan ahead for. When undertaking any sort of media work, remember to relax, stay positive, keep returning to your 3 key points, and rehearse well. As with anything, it gets easier the more that you do it. We concluded the workshop by doing some role play situations of being in an interview setting and utilising the skills that we had just touched upon - asking difficult questions and learning to return to your key messages and bring it back to your original points for consistence and to stay on track. We had the opportunity to be the interviewer and the interviewee, learn new skills and interview styles and identify our strengths and abilities from one other. From the delegate pack: "Inaccessibility and unequal treatment is wrong and triggers powerful emotions; but successful campaigning is much more than knee-jerk reactions. Real change is brought about when there is a cunning strategy behind the passion. In this workshop, we'll discover each other's inner strategist by testing ourselves out in some real world situations which demand a strategic approach for long term success. Core skills for every effective campaigner!" After lunch, it was time for the second workshop of the day. This was the most popular workshop on the Sunday, running first in the morning and again in the afternoon, lead by Hugh Huddy - Head of Policy at the RNIB. We began the workshop by open discussion about the inner strategist inside ourselves and how we tackle issues and obstacles on a daily basis without realising the strategy involved. Hugh gave the example of solving a problem with a neighbour and the different approaches that we can undertake - a direct approach, mediation or middle ground, and escalation. Most of us try for the middle-ground approach first, trying to mediate between the two parties' issues. If you can locate the middle ground between two people or two parties then that is where the starting point lies. It is important to identify when you have found the starting point to something which can then lead to engagement - followed by observation, escalation and dialogue; eliciting dialogue, alternative methods and negotiation. There is the emotional aspect and personal element to take into consideration when campaigning too. You have to be persistent and be in it for the long haul, it is not something that will be solved overnight. It is also important to take opportunities when they arise, challenge proactively and provide rational arguments to benefit your campaign as much as possible. Try to avoid the path of least resistance for an easy outcome. Hugh talked about the recent 'Stop for Me, Speak to Me' campaign to conclude the workshop and draw all of the points together - how the starting point came about and how it incorporated all of the aforementioned techniques and skilled such as finding the middle ground, mediating, eliciting dialogue, negotiation and so on. Thank you to all the campaigners at the convention this weekend, getting nearly 100 VI campaigners in one room was so powerful. When all delegates had finished their final workshop we entered the main conference hall once more to round-up the convention, conclude on what techniques and skills we had learned over the weekend, had a final key-note from Fazilet Hadi (Group Director of Inclusive Society) and then said our goodbyes before making our way back home. I want to say a huge thank you to the RNIB for the successful campaigning convention this year, especially to the RNIB staff and RCO's for donating their time during the weekend - and also to the VCC's, particularly the steering group, for tirelessly organising the event. @Glittered Thank you for coming, and of course a massive thank you for all the campaigning work you do! For those who attended, there is now an online survey that you can fill in to give feedback on the event itself, as well as the workshops you attended and the Open Space discussions, to make any improvements for future campaigning conferences in the coming years. I had an absolutely fantastic time, met some really inspiring campaigners from across the country - who have given me reassurance and confidence in my own campaigning - and learned many new skills and techniques that I look forward to incorporating into my own personal campaign work as well as the future work that I do with Envision! 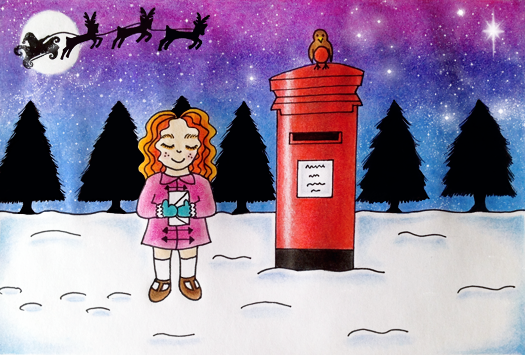 I have now completed my christmas card entry for Henshaws based on the theme A Christmas Wish, titled Christmas Girl. The competition was recently posted on the Henshaws Facebook page, though I had started my entry beforehand as I remember reading something being posted about it through social media and the official website back in March or April. After being reminded through Facebook, as well as kindly e-mailed by a member of staff at Henshaws, I thought I would continue with my card and enter the competition! It was created using fine liner and coloured pencils and digitally altered using the photo-editing program, Adobe Photoshop CS5, using nebula and fairy dust brushes. This is the first time I have used Photoshop to edit one of my illustrations and I'm rather pleased with how it turned out! The design took roughly 2 and a half weeks to complete in all and will be sent off very soon! Good luck to anyone else entering the Christmas Card competition! I have just finished my third week of Skillstep and, as with my previous Skillstep posts, thought I would share with you what the group and I have been up to this week. It's been an enjoyable few sessions in week 3, especially because of the fantastic kitchen skills session we had during Wednesday morning where the group and I made pizzas and cheesecakes! The mobility session in the afternoon was rather interesting too, providing the opportunity to discover the different canes that I had never been introduced to before, having a feel of them and comparing them to my own long cane. Wednesdays have quickly become my favourite day in the Skillstep week! During Tuesday's session with Maureen, we touched upon the different learning styles (visual, auditory and kinaesthetic) and identified our own preferred method of learning through a table exercise. I learn kinaesthetically. As a visually impaired person who also suffers from hearing loss, visual and auditory learning can be lost on me sometimes and quite difficult to follow. I much prefer to be involved in a task where I can use my hands and feel like I am applying the skills I am learning, and go through the process in my mind, which can then be easily used again in the future as I have tried it out beforehand. We also observed a mock interview between Maureen and Julie, the Skillstep Co-ordinator, and made notes of the body language, voice / voice tone and language used between both the interviewer and interviewee, what worked and what could have been improved. Next week, we will be doing our own interviews in groups of 3 and each have the chance to become the interviewer, interviewee and observer. In preparation, the group split in half to think of generalised questions to then be fed back to the group as whole that we can use for next week while performing our role plays of practice interviews. These will be filmed for our evidence-based portfolios. On Wednesday morning, we had a cooking session with Glynis - and I think we can all agree that it was the most enjoyable session of the Skillstep course so far! We made our own pizzas and cheesecakes, and worked together as a team to prepare the ingredients and use skills such as whisking, chopping, peeling, slicing and spreading - with supervision from 3 sighted staff members on hand to help. Unfortunately, I don't have a photo of my pizza to show as it was long consumed before we realised to take pictures! 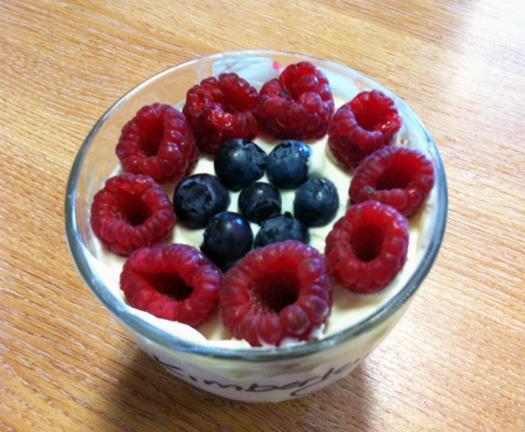 Julie kindly took a photo of my cheesecake before that was quickly consumed too! The food was absolutely wonderful, and the session helped us to gel more and bond over a fun and creative task. Members of the group who weren't that interested in this session beforehand even admitted to enjoying it a lot more than they thought they would! In the afternoon we had another session with Gary, this time looking at the different mobility aids that are available - from symbol canes and long canes to guide canes and walking sticks, and the different tips such as the pencil tip, roller tip, roller ball and jumbo roller tip. Gary discussed some of the useful aids that can be used in conjunction with a cane - for example reflective tape, red tape to signify hearing loss, a hi-vis jacket, and GPS and tracking tools such as a Trekker Breeze or Blindsquare for the iPad and iPhone. Towards the end of Gary's mobility session, we looked at how to guide someone with a visual impairment correctly and some of the wrong ways that sighted people demonstrate! After Gary talked through some of the techniques used, we each had the chance to be guided and to guide in pairs - walking around a room, going through a door and walking up and down the stairs. Quite a few of us guide already, so this was a great opportunity to brush up on our guiding knowledge for future use. On the final day of the week we had our usual IT session with Linda and Neil. We had time to go through our folders, mark our work and ensure that there were no gaps in our portfolio work so far. We continued to work through the entry level and level 1 tasks for our evidence-based portfolio to show that we have a basic knowledge of using Microsoft Word with assistive technology such as ZoomText and JAWS. Most of my Thursday was occupied completing the CV task and I am now about to start Task 26 of 29. I will continue through the tasks next week and hopefully have them completed very soon! 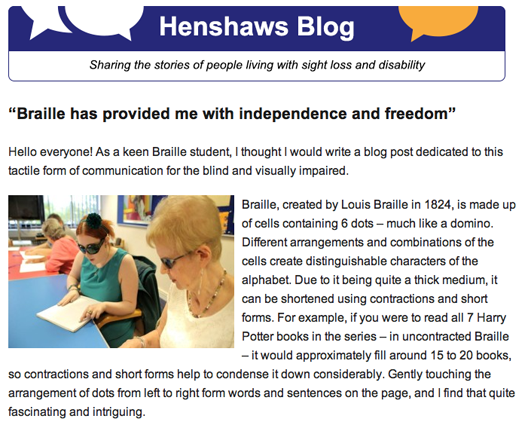 My sixth blog post with Henshaws Society for Blind People, as their regular contributor blogger, has now been posted to their online blog! My most recent post veers away from my previous posts based on my illustrations and love of art - and instead focuses on Braille and how it has enabled me to become more independent in terms of printed communication. 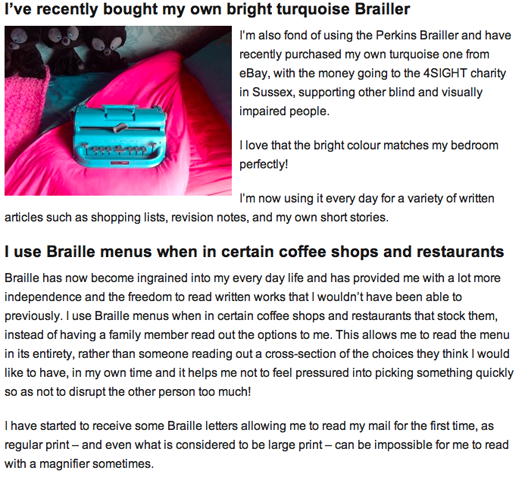 I mention the Brailler I purchased from 4SIGHT in Sussex, a charity supporting other VI and blind people, and my recent role as a volunteer Braille tutor, every Friday morning at the Henshaws resource centre in Manchester, giving back to the group that helped me through the Fingerprint course books for 8 months. 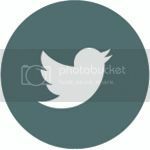 I recently submitted a few more blog posts to Henshaws, regarding my daily living skills and sight condition, and will post them here as soon as they are live! You can read my newest blog post by clicking here or on any of the above images. Yesterday I met with O2 Franchise Talk Direct Project iCare Ambassador, Mark Skelton, at the Henshaws Resource Centre in Manchester. He kindly wanted to meet me so that we could discuss the project in person and in-depth and have the opportunity to share my opinion. I loved what I heard so much that I wanted to share with you, and as many people as possible, what Mark is doing through Project iCare and how it will really benefit blind and visually impaired mobile phone users. The exclusive Talk Direct Project iCare will assist the sight impaired with their mobile communication needs, helping them to connect with the people and things that matter to them. It is the first of its kind, giving support to VI and blind customers long after they have purchased their mobile device. Samsung and Sony have recently sponsored the project and it has even been nominated for an award by Action for Blind People! 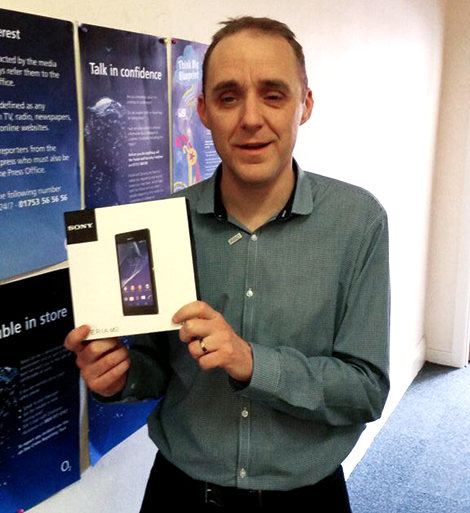 Mark Skelton worked as an Assistant Manager of the O2 store in Rotherham. In 2011, he began to lose his sight due to Diabetic Retinopathy, affecting 1 in 25 people, and underwent 4 operations to maintain his current level of vision. Performing the role of Assistant Manager became a challenge for him, with simple tasks becoming extremely difficult. After confronting his Directors about his condition, Mark found that his company was very accepting and encouraged him to use his disability to help others. Between them Project iCare was created. 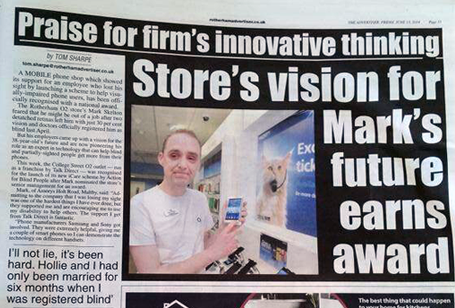 Mark says: "iCare is an inspiring new project aimed at helping the visually impaired use their mobile phones by providing them with technical help, ensuring that everyone benefits from the latest smart phone technology. The modern hand-sets are able to be adapted to suit any individual's needs." For more information on Project iCare you can contact Mark Skelton via his Twitter profile. I have now completed my second week of the Skillstep course at Henshaws! The sessions are progressing forward from last week's and building on the basics that we were introduced to during our first few sessions. Naturally, the group are starting to be much more comfortable around each other - so the social aspect has really amplified during this past week. I must admit that I have been extremely tired whilst getting used to my new routine, and have relied on many an emergency iced latte throughout the week to stay focused - and awake! The week began with Maureen's session on Tuesday, based around vocational and social development. The main theme of our second session was 'reframing' - a technique used to take a sentence and rephrase it into something more optimistic with a positive slant. This led into group work where we took it in turns to read an example statement with a negative context and then suggest ways of reframing it with a more positive concept. We also discussed over-confidence and under-confidence and the thoughts and feelings associated with both of those. Maureen recorded each individual member of the group recalling an instance when they were under-confident and another when they were over-confident, to use as part of our evidence-based portfolio. In Gary's morning session on Wednesday, he introduced some of the Skillstep group to Braille (others were more familiar!) using the Fingerprint course books that I've been working and teaching from during the past 10 months. The group were given a brief overview of how the 6 dot system was created and taught the dot combinations of basic letters of the alphabet - including A, L, D and T. The group also had a go of using the Perkins Braillers; learning how to load and set the paper, typing a locator line, writing their name, and so on. In the afternoon, we moved into the IT room to have a session based around the accessibility and benefits of iPads. We looked at using Siri by holding down the Home button on the iPad and directing it with voice instructions, a few of the basic finger swipes and taps to perform tasks, VI-friendly apps including TapTapSee and SayText, the rotor, accessibility functions such as VoiceOver, zoom and inverted colours, typing using the keyboard, accessing the internet and activating and deactivating the screen curtain. Thursday was our second IT session with Neil and Linda. The group and I continued to work through the tasks set for us, located inside our document folders, printing out copies for our portfolio to be marked and give evidence of our entry level and level 1 knowledge of using Microsoft Word, assistive technology (including Zoomtext and JAWS), and creating a CV. I completed 12 tasks on Thursday and should be finished with the work by the middle of next week's IT session. It has been another productive week and I'm looking forward to our next sessions with great interest! I was kindly asked by Steve Moss - the Editor of M44 News, my local news and events magazine - to become a monthly contributor columnist for the magazine, sharing my views and stories to local residents in my area. It's an amazing opportunity and I was deeply honoured to be asked! The new issue is now available in PDF format on the M44 News website and physical copies will be mailed to over 10,000 local homes this coming weekend. In my first column in the newest issue, I write about the conference that I recently attended with the Greater Manchester Police Crime Commissioner and his engagement team, to help improve services for blind and visually impaired people in the Greater Manchester area. 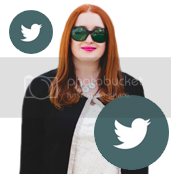 I also introduce myself by providing a profile picture and biography, and also give a short snippet of what I hope to achieve with the regular column. 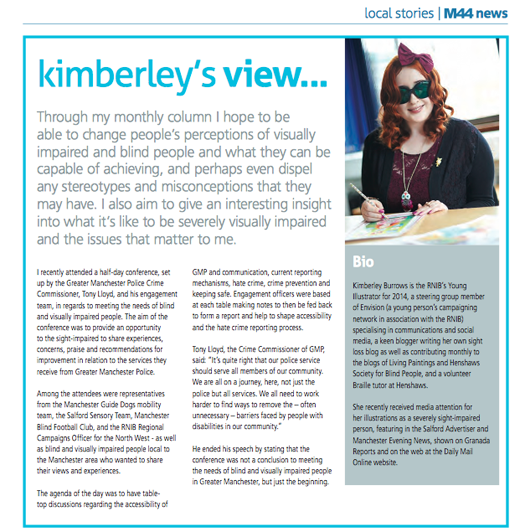 Through my monthly column I hope to be able to change people's perceptions of visually impaired and blind people and what they can be capable of achieving, and perhaps even dispel any stereotypes and misconceptions that they may have. I also aim to give an interesting insight into what it's like to be severely visually impaired and the issues that matter to me. I recently attended a half-day conference, set up by the Greater Manchester Police Crime Commissioner, Tony Lloyd, and his engagement team, in regards to meeting the needs of blind and visually impaired people. 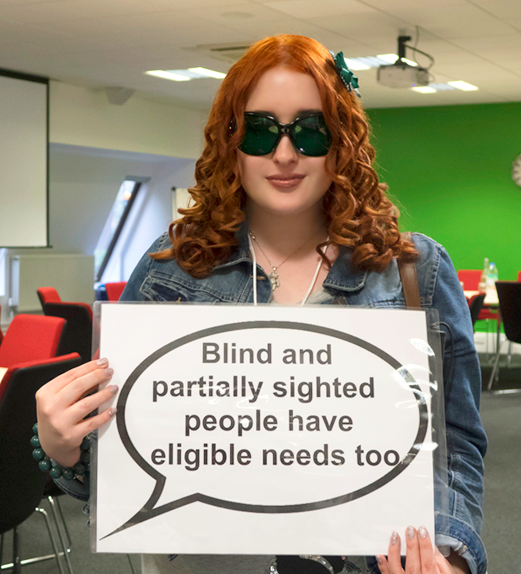 The aim of the conference was to provide an opportunity to the sight-impaired to share experiences, concerns, praise and recommendations for improvement in relation to the services they receive from Greater Manchester Police. Among the attendees were representatives from the Manchester Guide Dogs mobility team, the Salford Sensory team, Manchester Blind Football Club, and the RNIB Regional Campaigns Officer for the North West - as well as blind and visually impaired people local to the Manchester area who wanted to share their views and experiences. The agenda of the day was to have table-top discussions regarding the accessibility of GMP and communication, current reporting mechanisms, hate crime, crime prevention and keeping safe. Engagement officers were based at each table making notes to then be fed back to form a report and help to shape accessibility and the hate crime reporting process. Tony Lloyd, the Crime Commissioner of GMP, said: "It's quite right that our police service should serve all members of our community. We are all on a journey, here, not just the police but all services. 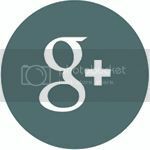 We all need to work harder to find ways to remove the - often unnecessary - barriers faced by people with disabilities in our community." He ended his speech by stating that the conference was not a conclusion to meeting the needs of blind and visually impaired people in Greater Manchester, but just the beginning. Kimberley Burrows is the RNIB's Young Illustrator for 2014, a steering group member of Envision (a young person's campaigning network in association with the RNIB) specialising in communications and social media, a keen blogger writing her own sight loss blog as well as contributing monthly to the blogs of Living Paintings and Henshaws Society for Blind People, and a volunteer Braille tutor at Henshaws. 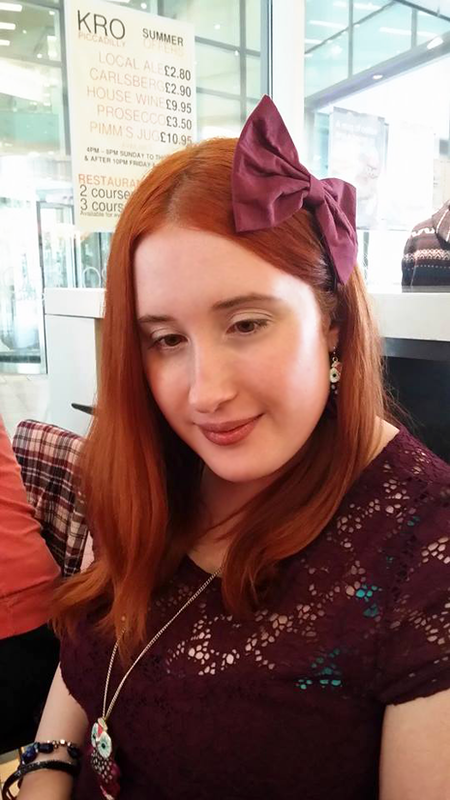 She recently received media attention for her illustrations as a severely sight-impaired person, featuring in the Salford Advertiser and Manchester Evening News, shown on Granada Reports and on the web at the Daily Mail Online website. The June edition of M44 News will be on doorsteps this coming weekend! John Lewis Composition Displayed at the Trafford Centre! After my Skillstep session today, my mum and I decided to pop into the John Lewis restaurant, at the Trafford Centre, to see if their birthday exhibition was on display on the community art wall - and much to our excitement, it was! I've previously posted about the fantastic opportunity that Henshaws had, to create and display 6 pieces of artwork to celebrate John Lewis' 150th birthday, by service users across all of the centres in the North of England - from Newcastle, Manchester and Knaresborough. I quickly took some photos on my iPad (though my inverted colours function was activated, so these photos are not the best quality!) to share with you all. Professional photos will be taken later this month of myself and Pat from the Arts & Crafts group, sitting in front of the exhibition, and I will make sure to post them here when I have them! 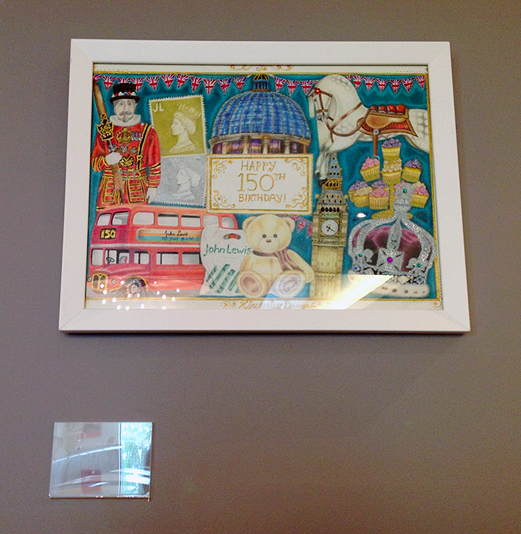 Happy 150th birthday to John Lewis and I hope you all enjoy the birthday exhibition at the Trafford Centre! 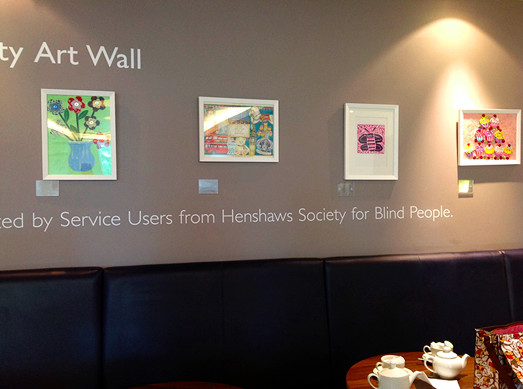 The display will be up on the community art wall, in the restaurant, from June 1st to late-July.